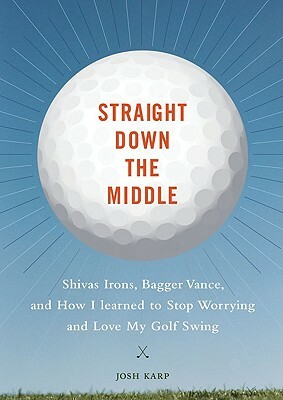 Straight Down the Middle is a humorous and insightful account of journalist and former-18-handicap golfer Josh Karp's quest to achieve inner peace and improve his golf gameall through the art of Zen. Assisted by a quirky roster of excellent practitioners of esoteric, Eastern-fueled, nontraditional golf instruction, Karp embarks on a unique journey across the fairways of North America (and Scotland, of course!) that's as funny as it is illuminating. A golf story in the tradition of The Legend of Bagger Vance, Straight Down the Middle is a blend of helpful tips and hilarious memoir that's a must-read for golfers of all stripes and plaids. Josh Karp first played golf in the 6th grade and became one of the worst players on very bad high school and college golf teams. Karp is a journalist and the author of A Futile and Stupid Gesture. He lives in Glencoe, Illinois, with his wife and four kids.